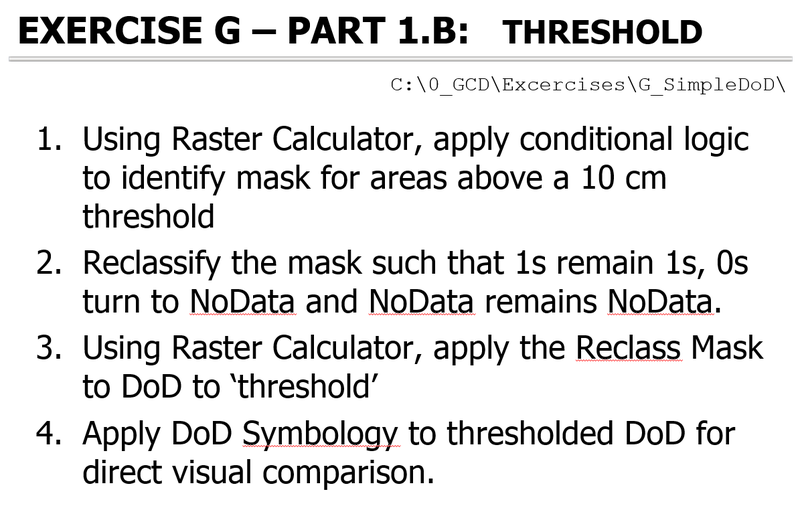 This exercise is intended to contrast how to build a DoD (DEM of Difference) with simple change detection minimum level of detection thresholding in ArcGIS's raster calculator versus using the GCD Add-In. 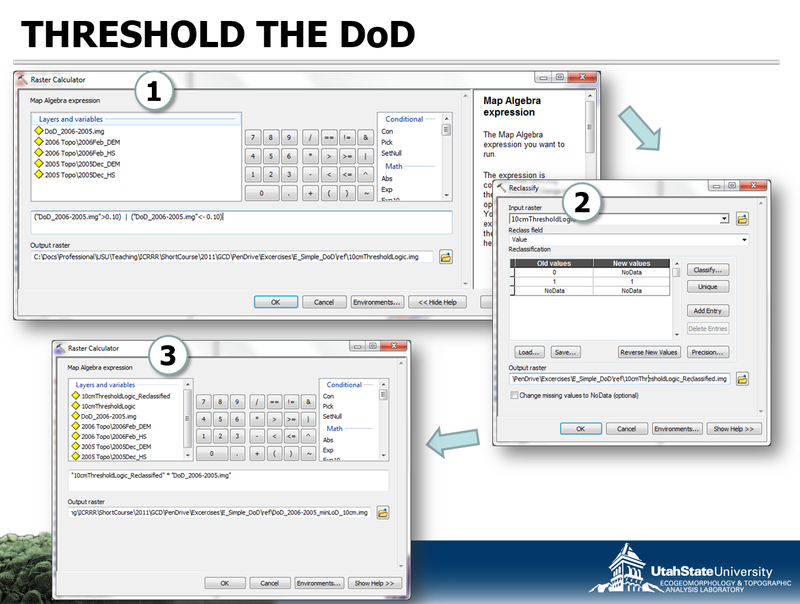 G_SimpleDoD.Zip File of Data for Exercise Part 1 and 2. 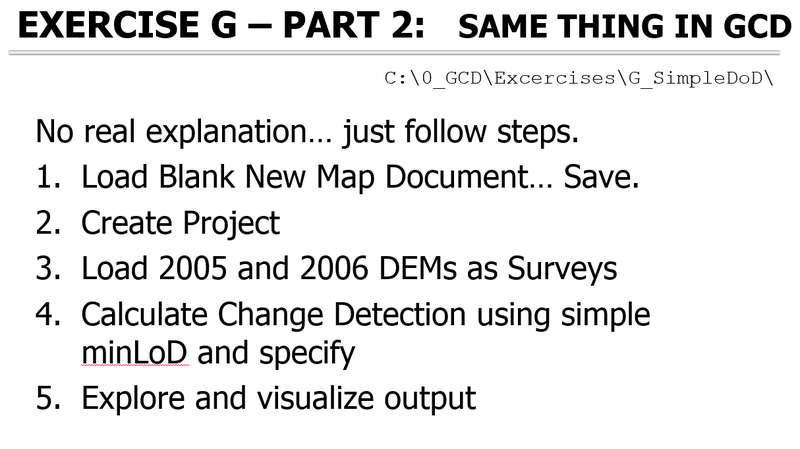 G_IntroGCD.zip File of Data for Exercise Part 3.